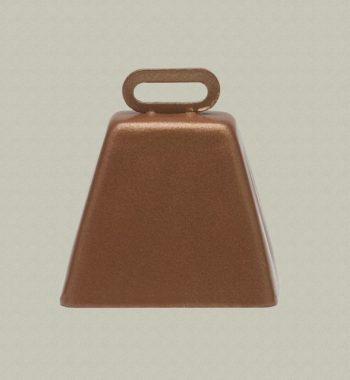 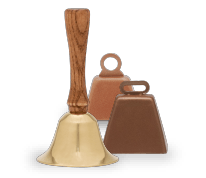 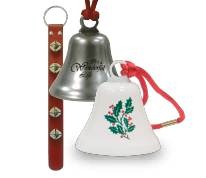 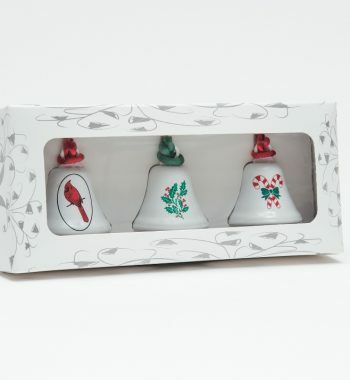 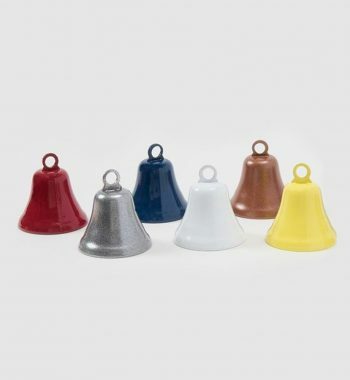 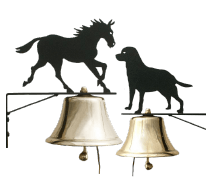 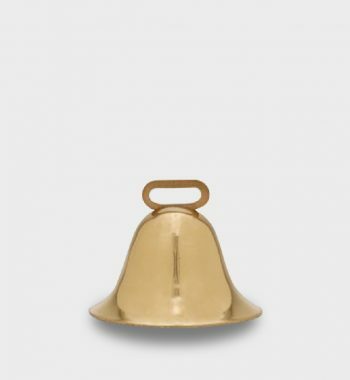 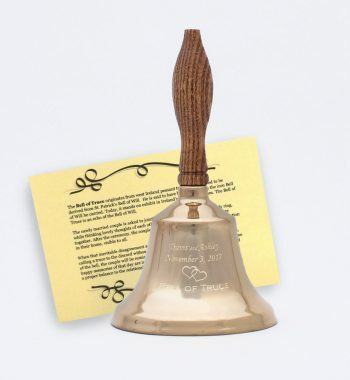 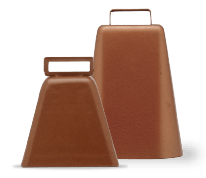 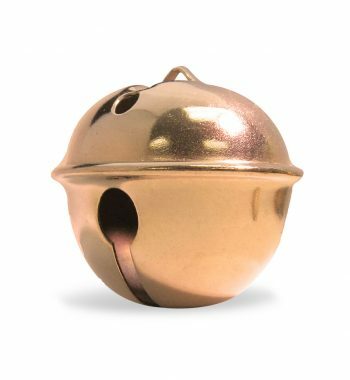 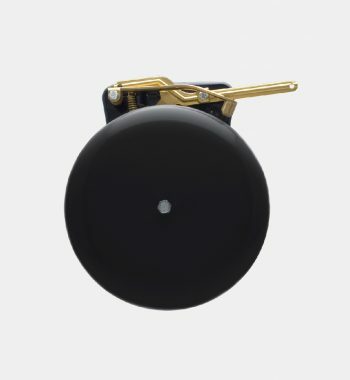 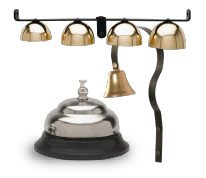 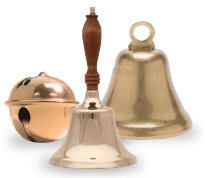 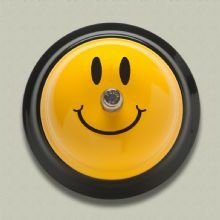 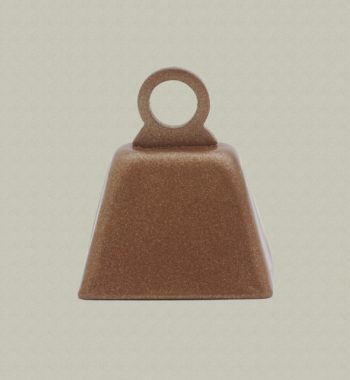 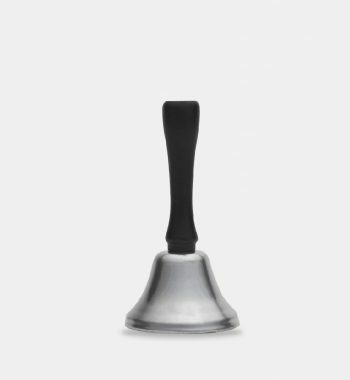 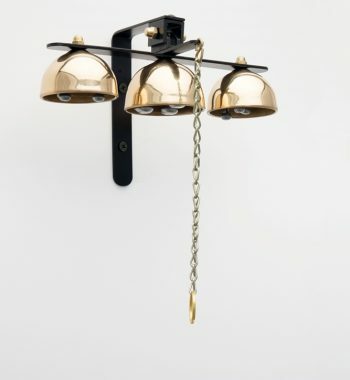 Ideal bells for schools, churches, sporting events, or conventions. 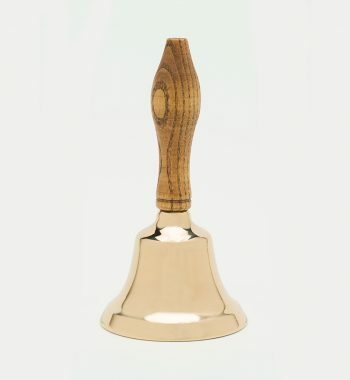 Their clear ringing tones can be heard everywhere. 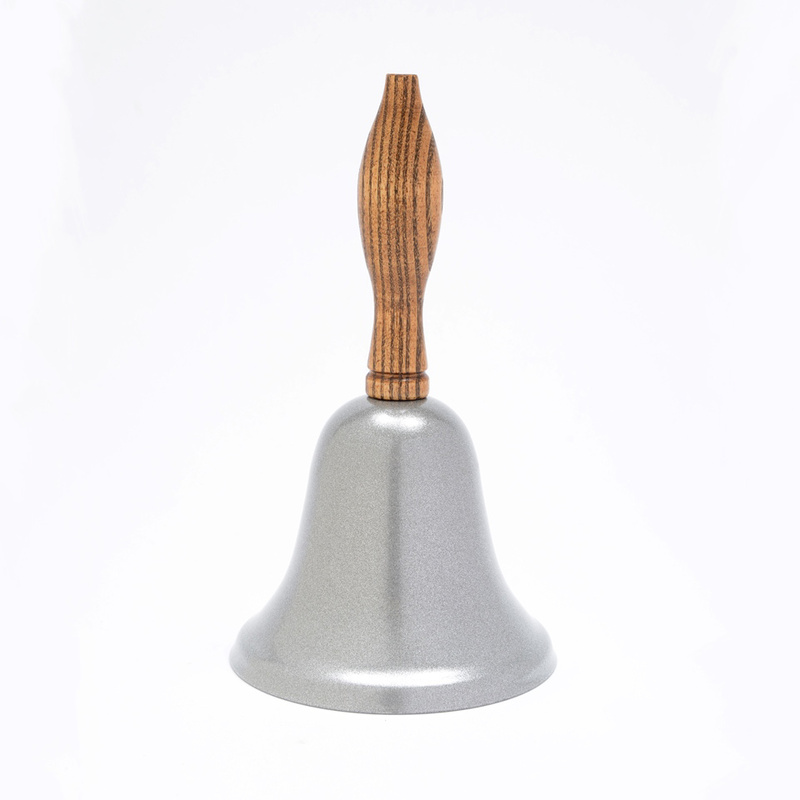 Our hand bells are topped with New England hardwood handles and resonate melodiously. 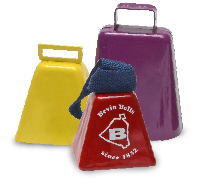 The classic Teacher’s Bell and award. 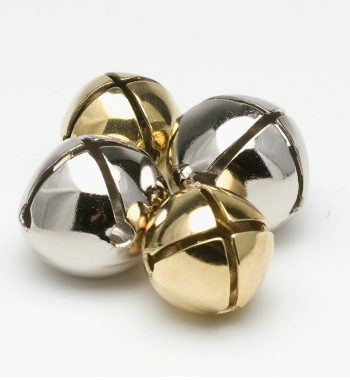 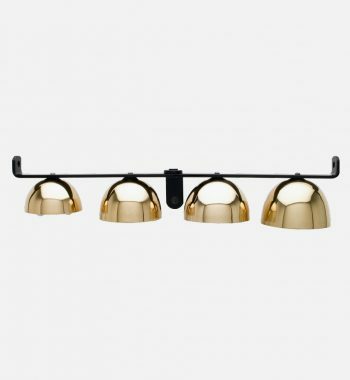 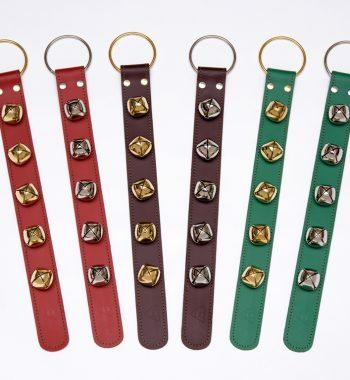 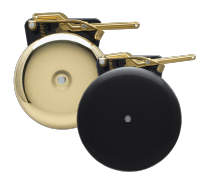 Comes in either metallic gold or metallic silver finish.